How Peaceful Is The South Atlantic? Admiral Eduardo Bacellar Leal Ferreira, commander of the Brazilian Navy, gave an interview to the Uruguayan daily El País this past December 2015. The Admiral optimistically declared that “today there is no ocean more peaceful than the South Atlantic, there are no tensions that cannot be solved. We have problems in the Malvinas [Falklands] or in the Gulf of Guinea, but there are no wars. This is the only ocean where the major powers do not have warships.” This statement is an ideal starting point for an in-depth discussion of South Atlantic geopolitics. The Falklands/Malvinas: Argentina claims these islands, currently controlled by the United Kingdom (the two countries had a brief war in 1982). In 2013, the inhabitants of the Falklands held a referendum in which they voted to remain part of the UK – Argentina does not recognize the ballot. Ghana and Ivory Coast: The two countries have a dispute over offshore oil drilling along their border. The International Tribunal for the Law of the Sea (ITLOS) gave an interim ruling in 2015 but a final decision is not expected until 2017. Angola and the Democratic Republic of Congo: In 2014, the Angolan government attempted to redraw the maritime border with the DRC in order to gain control of some 200 additional miles. The two countries have contested their border since the 1970s. Equatorial Guinea and Gabon: The two countries claim the Mbanie, Cocotiers and Congas islands since the early 1970s. It is believed that there are underwater oil reserves around those islands. In spite of the aforementioned maritime disputes, Admiral Ferreira is generally correct when he praises the peacefulness of the South Atlantic. After all, the last confrontation in the region was the 1982 Falklands/Malvinas War. Even more, war has been successfully prevented in other disputes: in 1978 Papal mediation helped avoid a war between Argentina and Chile in the Beagle Channel, where the Pacific and Atlantic oceans meet. Moreover, the dispute between Cameroon and Nigeria over the Bakassi Peninsula was solved via international ruling – in 2006 the two governments signed the “UN-backed Greentree Agreement [which set] the terms and timeframe for the implementation of the 2002 ruling of the [International Court of Justice], which transferred the Bakassi Peninsula from Nigeria to Cameroon.” The list of successfully mediated disputes could grow if ITLOS manages to resolve the Ghana-Ivory Coast issue or if the UN’s current mediation efforts between Equatorial Guinea and Gabon are fruitful. In other words there are plenty of examples that highlight the peacefulness of the South Atlantic. Should other sources of state-revenue dry up, governments may become more willing to engage in a war, or at least aggressively push for negotiations, over any of the aforementioned maritime disputes. New Navies But For What? In a 2011 essay for Small Wars & Insurgencies, I argued that South America was involved in an arms race. The situation has changed in 2016, particularly among the South Atlantic states. For example, the Brazilian Navy continues with its ambitious programs, in spite of its economic woes, which include the construction of a nuclear-powered submarine, four Scorpene subs, and repairing its Sao Paulo carrier. Furthermore, in late 2015 Brazil purchased the multipurpose vess el TCD Siroco from France – it has been renamed the G-40 Bahia. 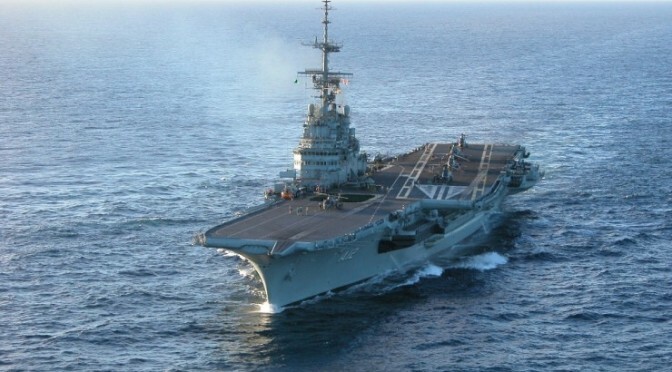 Nevertheless, these purchases have not made Brazil’s neighbors perceive it as a security threat, as Uruguay’s Navy has not carried out major purchases in years while Argentina has only repaired the submarine ARA San Juan and purchased four Russian vessels that will be utilized for search and rescue operations and Antarctic research. Neither Montevideo nor Buenos Aires appear to expect an invasion from the Portuguese-speaking giant. 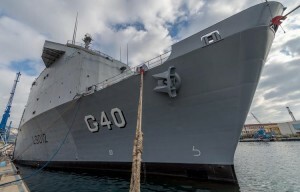 As has been discussed in various analyses, due to the general inter-state tranquility of the South Atlantic, regional navies are looking for a new raison d’etre. Protecting natural resources and non-traditional security threats are the standard reasons. Without a doubt, Africa’s West coast continues to have a major problem with piracy, including the hijacking of transport ships, so it is in the interest of regional governments to have strong navies to monitor their waters. As for protecting natural resources within a country’s Exclusive Economic Zone, this includes both oil exploration as well as combating crimes like illegal fishing. Nevertheless, while African states have valid reasons to upgrade their naval forces, Brazil has a more difficult case regarding its projects. Without addressing the nuclear submarine or carrier by name, in his interview with El País, Admiral Ferreira argues that Brazil must maintain a deterrent force to protect its natural resources, “we have [offshore] oil fields, and if there is an energy crisis it is necessary to deter anyone from coming to Brazil to take our resources.” While there is an obvious logic to the Brazilian Admiral’s statement, it is unclear exactly who is this enemy that requires a nuclear-powered submarine to defeat. Finally, Admiral Ferreira argued that no world power has vessels in the South Atlantic. That is generally true, particularly since 1986, when the United Nations created the South Atlantic Peace and Cooperation Zone, which declares that the South Atlantic is a nuclear weapons-free zone. Nevertheless, warships from the global powers routinely cross the South Atlantic; just this past April 2015, the USS Spearhead arrived in Gabon and carried out exercises with the local navy as part of the Africa Partnership Station. “During our visit, we’ll conduct marine-to-marine training along with medical subject matter expert exchanges, thus helping build a stronger Global Network of Navies,” said Commander Matthew Flemming. In May of the same year, the French offshore patrol vessel L’Adroit docked in Cape Town. As for the other side of the Atlantic, the USS America visited Brazil in 2014 while the aforementioned French OPV L’Adroit docked in Uruguay in mid-February 2016. Furthermore, apart from the Falklands, London also controls South Georgia and the Sandwich Islands. Moreover, the British-controlled Ascension Island was a strategically important stopover for British warships and transport vessels during the Falklands War. Hence, Admiral Ferreira’s declaration is a slight overstatement. While there are no British battle groups patrolling the Falklands nor does the U.S. Navy have a fleet stationed in Ascension Island (though the U.S. Air Force does utilize an auxiliary field there), global powers do have a constant presence in the South Atlantic’s waters. Even though Admiral Ferreira did not discuss South Atlantic integration, it is important to mention that that the two sides of the Atlantic have increased defense ties in recent years. 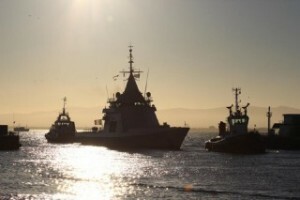 For example the ATLASUR naval exercises bring South American and African navies together, while Brazil and South Africa (along with India) have carried out the IBSAMAR exercises. Nevertheless, calls for greater South-South cooperation have not ended in some grand new maritime defense initiative. The aforementioned exercises are important, but neither Brazil nor South Africa, the two powerhouses of the South Atlantic, have taken major steps to bring together all these navies towards some common objective (i.e. forming a trans-oceanic task-force to combat maritime crimes). The region already came together in 1986 with the SAPCZ and there is already a modern precedent for various countries attempting to deal with maritime affairs – namely, the African Union’s “2050 Africa’s Integration Maritime Strategy,” which will address (and ideally solve) the continent’s maritime issues, such as border disputes. We have yet to see the South Atlantic capitalize on its general peacefulness to address non-traditional defense problems. Brazilian Admiral Ferreira is generally correct by praising the peacefulness of the South Atlantic. Of course, an unforeseen incident could occur or a series of decisions within a government that prompts it to decide to start a war with a neighboring state. The possibility of petro-money is an enticing reason to engage in violence, particularly as this non-renewable commodity becomes scarcer in the near future or, as the aforementioned ISS report explains, “maritime boundary disputes, many long dormant, are increasingly exacerbated by a growing interest in exploring and exploiting natural resources.” Nevertheless, the region can praise itself for having avoided inter-state war in spite of several border disputes. Currently, the South Atlantic’s maritime security issues revolve around cracking down on piracy, drug trafficking and protecting natural resources (like oil deposits and the maritime ecosystem). Robust navies, including coast guards, are an obvious requirement, but there is a thin line that separates obtaining equipment that is needed (like Argentina purchasing search-and-rescue vessels or Angola buying crafts) to other whose usage is questionable (i.e., Brazil’s acquisition of a nuclear submarine). W. Alejandro Sanchez is a researcher who focuses on geopolitics, military and cyber security issues in the Western Hemisphere. His research interests include inter-state tensions, narco-insurgent movements and drug cartels, arms sales, the development of Latin American military industries, UN peacekeeping operations, as well as the rising use of drones in Latin America. The views presented in this essay are the sole responsibility of the author and do not necessarily reflect those of any institutions with which the author is associated. Follow him on Twitter @W_Alex_Sanchez. Erm, one of the standing (UK) Royal Navy patrol tasks is Atlantic Patrol Task (South) – of one major surface combatant (frigate or destroyer) and a Royal Fleet Auxiliary resupply ship. Up until December this was HMS Lancaster (and prior to that it was HMS Dragon).